Today is the last day of our long weekend away from Singapore. My friend and I decided to walk around and see as many landmarks as possible. Surprisingly enough, the city has plenty to offer, maybe not as much as it rival in the north namely Hanoi, but enough to satisfy any international traveler looking for exoticism. But first thing first, FOOD. It was 11am and we were very hungry. We checked-in at a restaurant in Pham Ngu Lao area. There I ordered Vietnamese coffee with condensed milk, a Pho, and a veggie salad for my friend. The coffee was strong and bitter but sweeten by the condensed milk. Also, I found that coffee glass design nice, simple but nice. The food was okay; nothing special to mention there; when you’re hungry you eat! Okay, belly full, camera battery charged, and caps on, we were ready to explore Ho Chi Minh City. We walked towards the Ben Thanh market, a large marketplace popular with tourist seeking local handicrafts, textiles, and souvenirs. You also can get wet products such as fruits, meats, and even taste local cuisine. 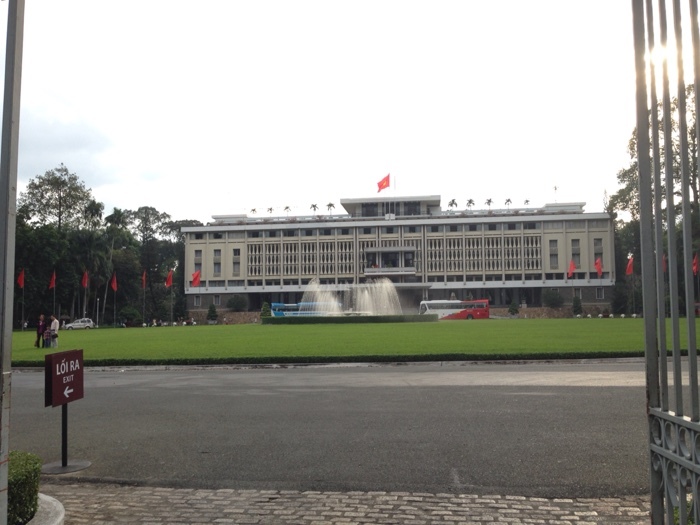 As we kept walking heading North, we pass next to the Ho Chi Minh City Hall. The building was in renovation. It was built in the early of 20th century in a French colonial style. Two minutes away from city hall is the Municipal Theatre, also known as Saigon Opera House. It is the main opera house in the city; its architecture is another example of the French heritage of the country. Next, we were heading west to the Saigon Notre-Dame Basilica officially known as Basilica of Our Lady of The Immaculate Conception. French colonists established the cathedral during the second half of the 19th century. The cathedral is splendid and very noticeable with it reddish color from the bricks. Right next to the cathedral is the Saigon Central Post Office, with its neoclassical architecture. The building was designed and constructed by the famous architect Gustave Eiffel. It’s a beautiful building, outside and inside. The Reunification Palace or Independence Palace is a landmark in the city; it was the site of the end of the Vietnam War in 1975. Our final landmark or rather visit was at the Xa Loi Pagoda, simply put it is the largest pagoda in the city and was for a while the headquarters of Buddhism in South Vietnam. Nearby the hotel, I had for dinner chicken with curry Vietnamese style, accompanied with rice. We went for a last drink, and shortly after back to the hotel, as our flight to Singapore was early in the morning. Overall, Ho Chi Minh City is more live, busy, and crowded than Hanoi. It is also more Americanize as oppose to “Frenchnize”. Some will like it other will dislike it. I’ll say it depends on what you are looking for. If you want to party, enjoy some good food, but still be in a local setting where you can have local flavors on anything — Saigon is the right spot. If you are looking for the same but want to add a tiny bit of cultural stuff, want to learn more about the French heritage, then I strongly recommend a visit to Hanoi. I came for a quick getaway from Singapore; Ho Chi Minh City offered me what I needed. Some sightseeing, cool weather, food, and a great night scene!! 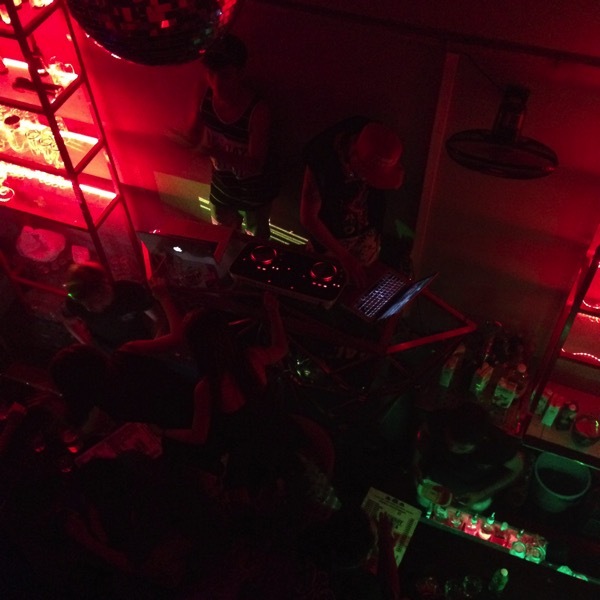 Ho Chi Minh City is a great place to hang out, enjoy a variety of food, and party hard. 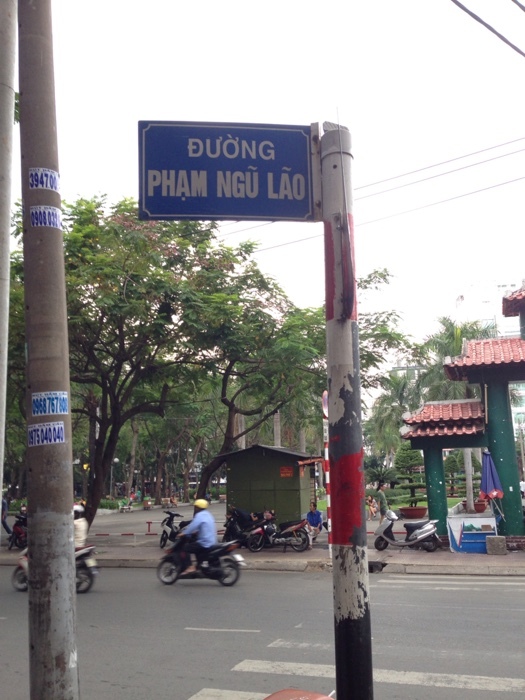 However, sightseeing in the city itself is limited, at least compared to the northern city of Hanoi. My friend and I decided to head south to see one of the main attraction surrounding Ho Chi Minh City, the Cai Rang floating market, in the Lower Mekong River. To get there from HCMC, you either go with a travel agency or by your own. If you’re planning a one-day trip, I strongly recommend the former. We went on our own for a one-day trip. Yes, I know the exact contrary of my recommendation. We woke up very early (5am) and took a taxi from our hotel to the Mien Tay bus station. Assuming you are staying in the Pham Ngu Lao area (backpacker zone), the drive is about 20 minutes and cost around 150k dong. The reason we left so early is that the floating market is only open from 9am to 11am. Knowing that HCMC to Can Tho takes about 3 hours, we hoped by leaving early we could still see the end of the market. At the station, look for the counter that sells tickets to Can Tho. 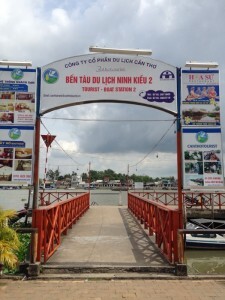 Can Tho is the main city from where you take a boat to get to the Cai Rang floating market. Bus prices vary from 130k dong to 80k dong. The cheap option picks up and drops passengers along the way, whereas expensive bus goes supposedly straight to the destination. 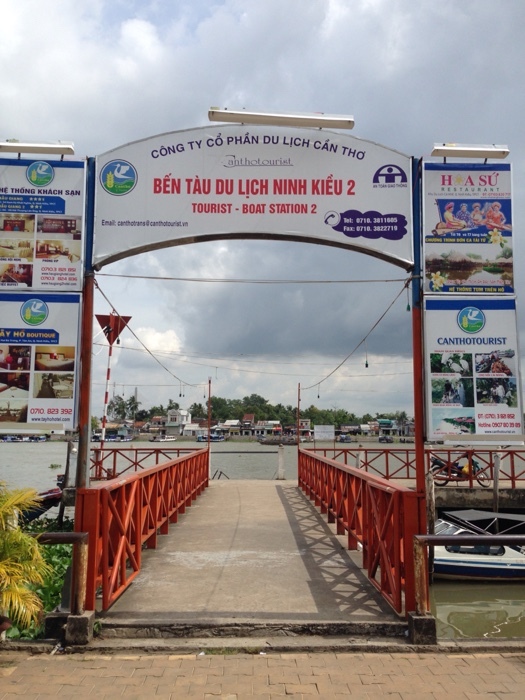 We took the cheaper option, left at 6am, and arrived at Can Tho around 9:20am. South East Asian traveller will know the feeling — As soon as we arrived and alighted the bus, a bunch of taxi/motorbike driver chased us and asked where we were going. I said the boat station for the floating market – a scooter brought us there for 30k dong. The ride is a bit more than 5 minutes, and you get to see the city of Can Tho. At the boat station, we paid 10 USD each (we might have get screwed) to get on a slow and small motor boat. 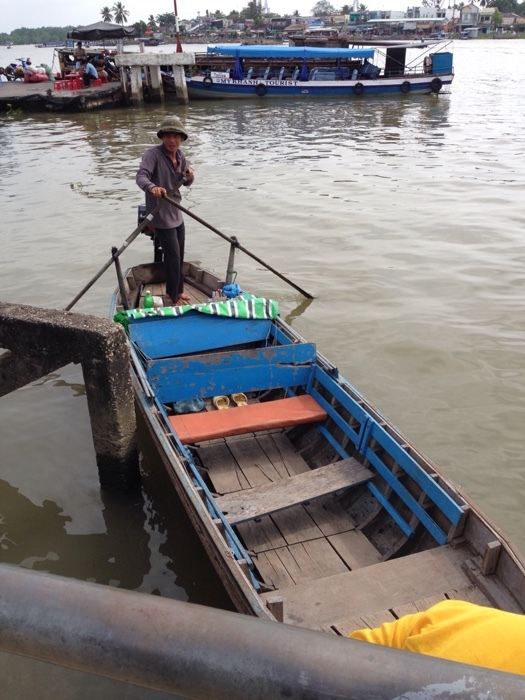 9:40am, we were on the Mekong River towards the Cai Rang floating market. The journey lasts about an hour so be sure to bring water, as you most likely will get hit hard by the sun on the open air boat. The ride gives a chance to see the life around the river, with kids playing on the water, workers on docks, fisherman coming back or getting ready to work, and few other routine things. Overall it is not an amazing scenery, but still very much different from whatever you have at home. See for yourself. Almost an hour after, we reached the market and as expected it was almost the end. There were only a few merchants left, but no more buyers, rather few tourists like us taking shots, and admiring. It is a shame we arrived too late; we probably should have tried to sleep in Can Tho the night before to fully enjoy it. Regardless, it is still amazing to think the same way people go on markets on “land”, other take their boat and go to a floating market. 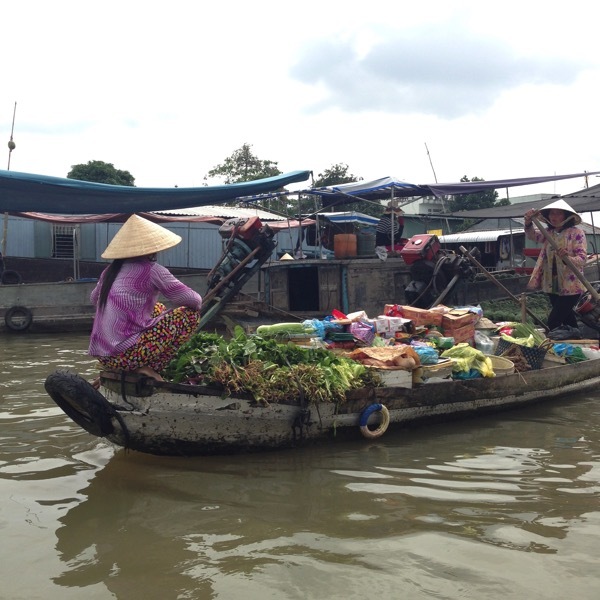 Cai Rang floating market is a wholesale market, with mainly food consumptions products (fruits, vegetables, etc.) Keep in mind, there are plenty of floating markets in this area, so do some research before adventuring yourself. The best way to go about it is to sit in a travel agency to see in detail what each market offers, and then do a Google search on how to get to your destination by your own. It’s usually not only a cheaper option, but also allow you to do things at your pace. The boat tour also includes a short visit to a small noodles factory, where you can see “live” the full process of production. I made a short video with no comments as it should be self-explanatory. As you may know, Vietnam cuisine typically used rice noodles. It has a different texture and flavour to the more commonly known wheat noodle or Italian Pasta. The next time you eat an Asian broth, compare the noodles from a Pho Bo (Vietnamese broth) with noodles from a Ramen (Japanese broth). The difference is even visual as the texture and color are different. If you want to know more about it, here is a great article http://www.seriouseats.com/2014/08/asian-noodle-shopping-guide.html to check. After coming back from the market, we were hanging around Can Tho nearby the boat station, but this part of the city doesn’t offer much except for few market and restaurants. Very hungry, we grabbed a bite at a local restaurant — as much as it looks delicious, it was just okay. Lunch done, we went back to Can Tho bus station, and soon after we were on our way back to Saigon. We arrived at Mien Tay around 6pm and decided to take a bus back to our hotel. Bus 102 is direct to Ben Thanh bus station and cost 3k dong. Later that night, we went to see a premiership game and then clubbing. Vietnamese folks know how to dance. The nightclub was touristic, but with plenty of locals. You could see it, when the dee-jay put some local songs, the crowd was going wild! I loved it!! As anywhere in the world the night ended with some food. It is a kebab in Europe, Ba Ku Teh or Chicken rice in Singapore, Pizza slice in the United States, in Saigon, it was a mere omelet sandwich. Although no picture, I can guarantee you it was delicious!! The day and the night have been good, tiring but good. The one-day trip to the Cai Rang floating market was exhausting, but since we only spend three days in the city it was needed. Of course, if you have more time make sure to sleep in Can Tho the night before and show up next morning as early as you can at the boat station. Tomorrow is our last day; we will chill and see what the city has to offer. 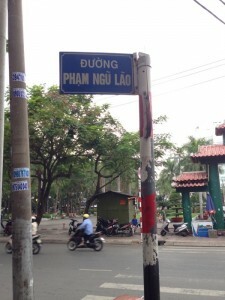 In Ho Chi Minh City or Saigon as the local call it, my friend and I stayed in Pham Ngu Lao, the backpacker area of the city. There are plenty of hostels – always try to negotiate and see how it goes. We stayed at New York Thien Phuc Hotel. The hotel is ok, nothing fancy, price was 15 USD a night, so I expected stains on bed sheets, a bit of noise, and a shaky internet connection. I wasn’t disappointed. After a long nap, we went out for our first visit of the city. We first grab some lunch at a restaurant near the park. After the lunch, we were going to Ben Thanh market walking in the park. After 30 min walk, we found ourselves in the Ben Thanh market. It’s not an exceptional market, especially if you have visited other markets in South East Asia. However, you will find anything and everything, from the very useful to the very useless. Regardless, if you’re looking for electronics, shoes, and artistic things it’s a good spot to buy in the city – make sure to negotiate. I bought some fancy American brands sneakers and headsets for an awesome price. Nearby the market, there are plenty of restaurants with locals dish. We tried several of them; but, overall we were not amazed. However, there are many restaurants around the Ben Thanh market, so obviously you may be luckier than us and find better food. More seriously, there are three huts with a different ambiance; one for rock n roll, one more pop music and the third for folklore music. Anybody is welcome to join and show his or her moves. Reaching the hotel, we fall asleep. Next morning was a trip to Can Tho, to see the famous Cai Rang floating market. When exiting the international airport terminal, turn on your right and look for the bus station. Get on the bus 152, fare from the airport to Pham Ngu Lao area is about 5000 dong as of November 2014. The ride is about 45 min to an hour with traffic. 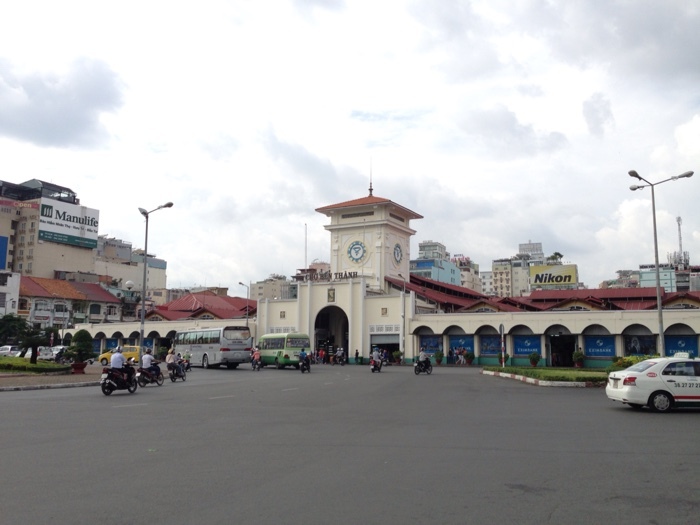 There are many stops on the journey, but if you’re heading to the backpack area of Ho Chi Minh City, alight at the terminal (Ben Tan market). From there you can easily walk to the backpack area namely Pham Ngu Lao. Similarly to above, to get to the airport the cheapest way is to use the public transportation. From Pham Ngu Lao area, walk to the Ben Tan bus station find across the Ben Tan Market. There take the bus 152 direction Tan Son Nhat, which is the name of the HCMC airport. The ride is about 30 minutes with no traffic, and the first bus is at 6am. For very early flight, taxi is a better option. The bus terminal is the international airport, the stop before is the domestic terminal.